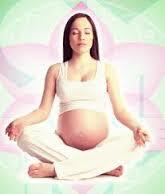 Yoga and other holistic practices can be a source of great comfort to pregnant women. On this training you will gain a wealth of knowledge to offer your students, guiding them in order to bring about some relief and comfort during pregnancy and beyond into motherhood. Please note: Course cancellations within 30 days of course start date are subject to a 50% cancellation fee, 75% fee within 3 weeks and 100% within 2 weeks.